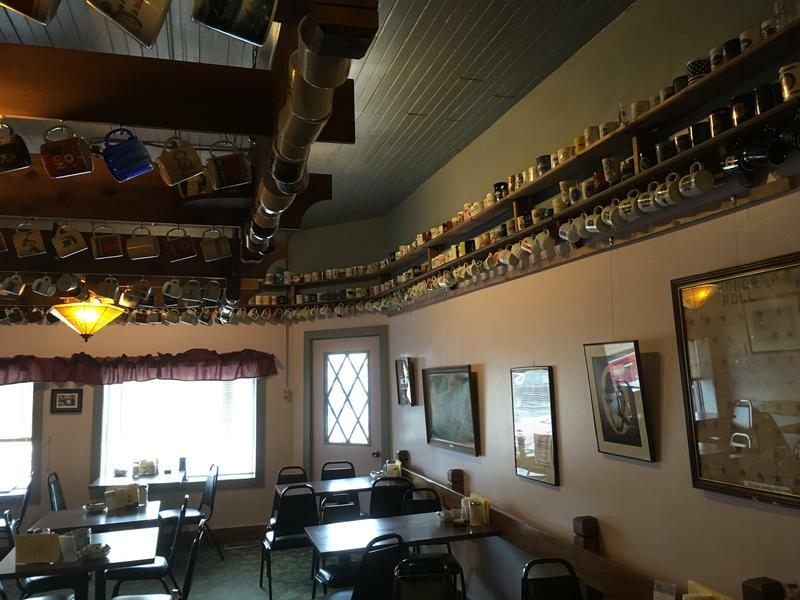 Mike's Village Restaurant in Dimondale has hundreds of coffee mugs on display. 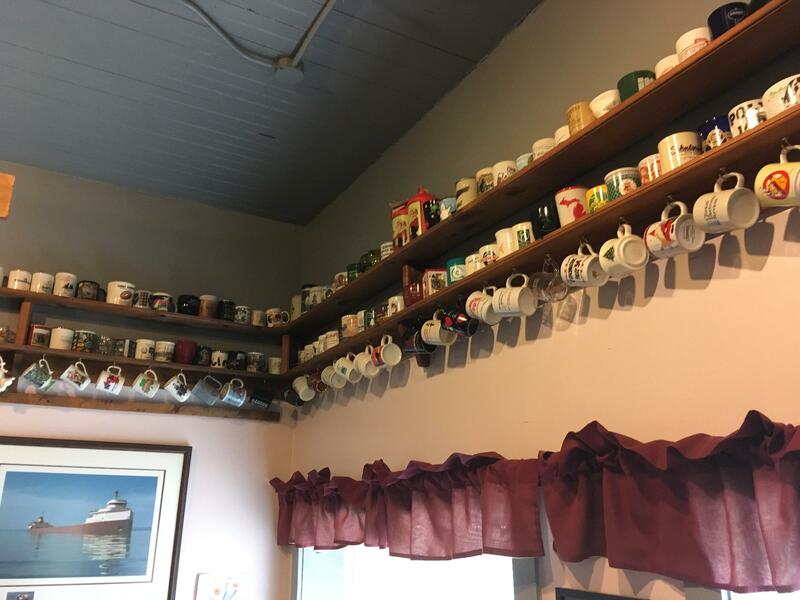 This coffee mug is shaped like Michigan's lower peninula. No offense intended, Yoopers! 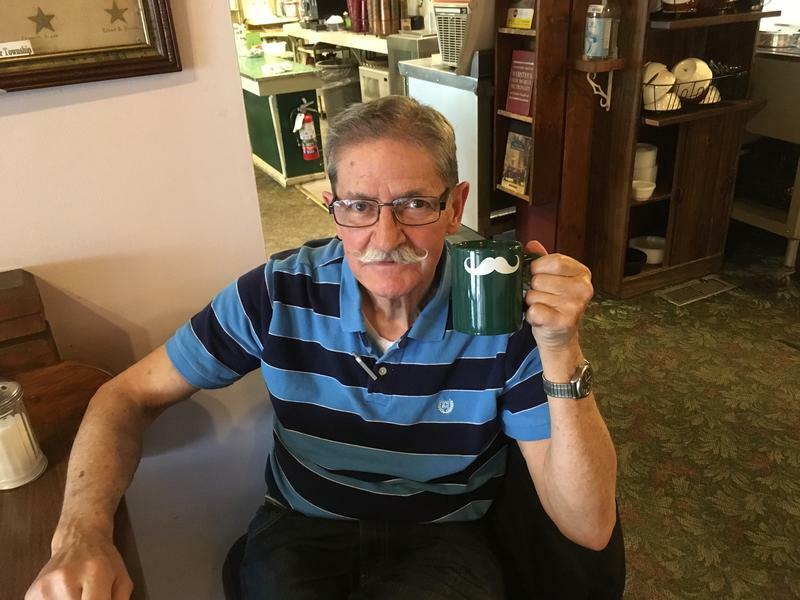 Owner Mike Chappell is known for his handlebar mustache, so his restaurant serves coffee in handlebar mugs. 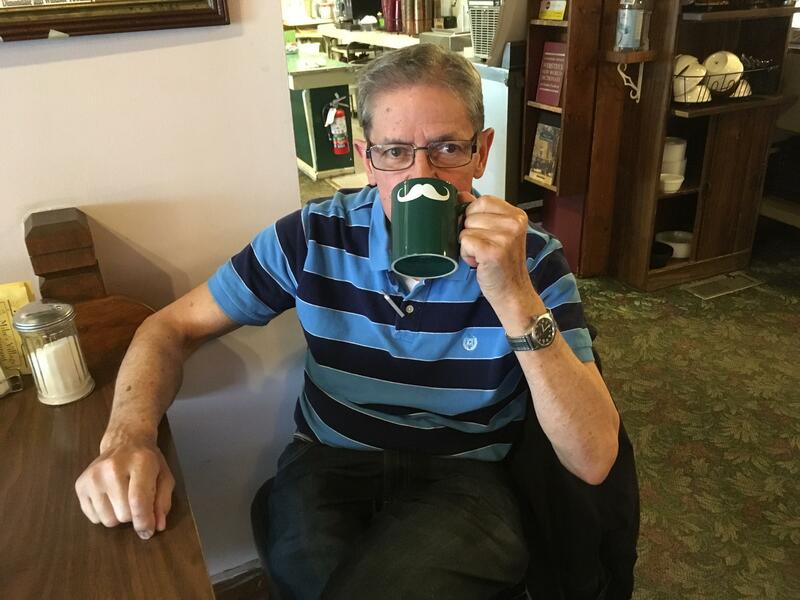 When you drink from the mug, you look like you have a handlebar mustache, too! 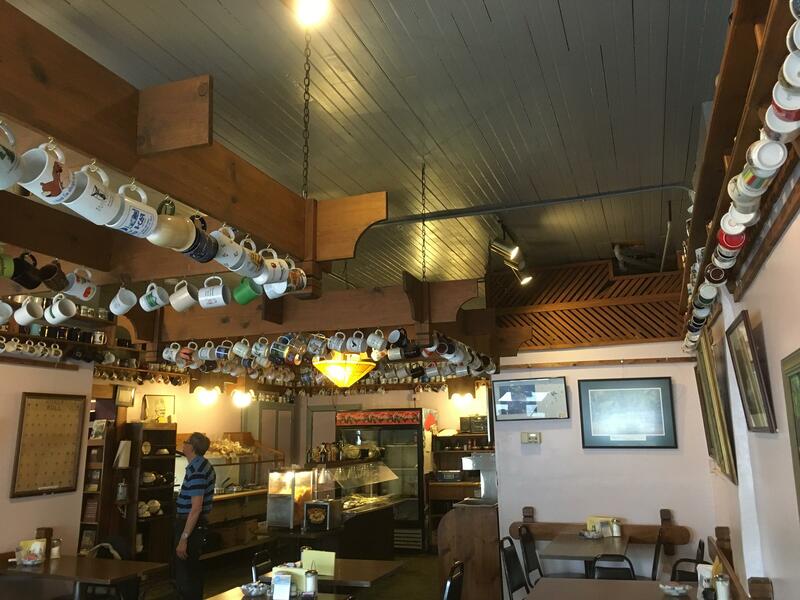 The restaurant has right and left-handed versions. 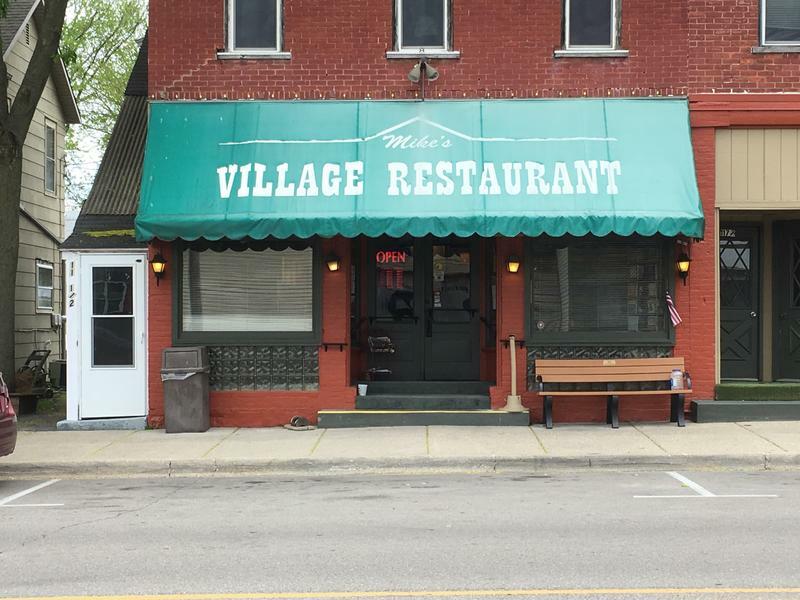 Mike's Village Restaurant in Dimondale. 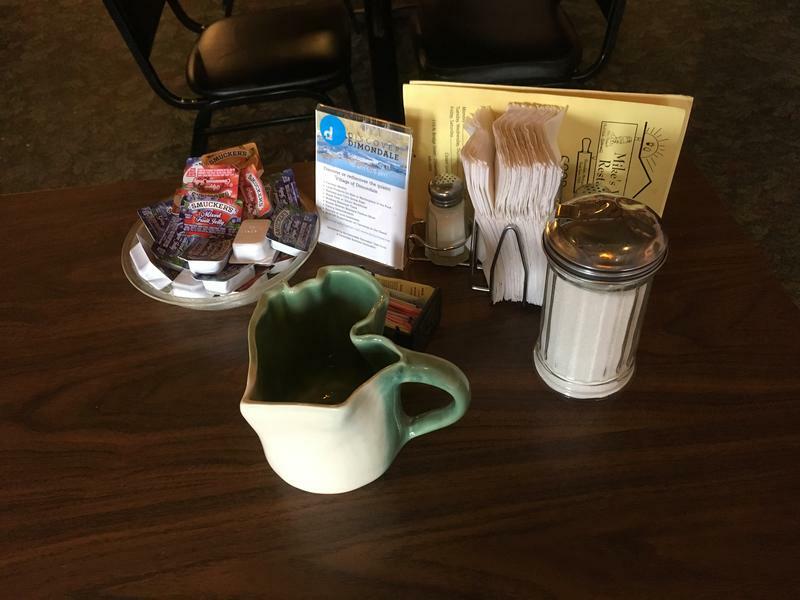 As part of our Coffee and Community series this week, we stopped by Mike’s Village Restaurant in Dimondale. 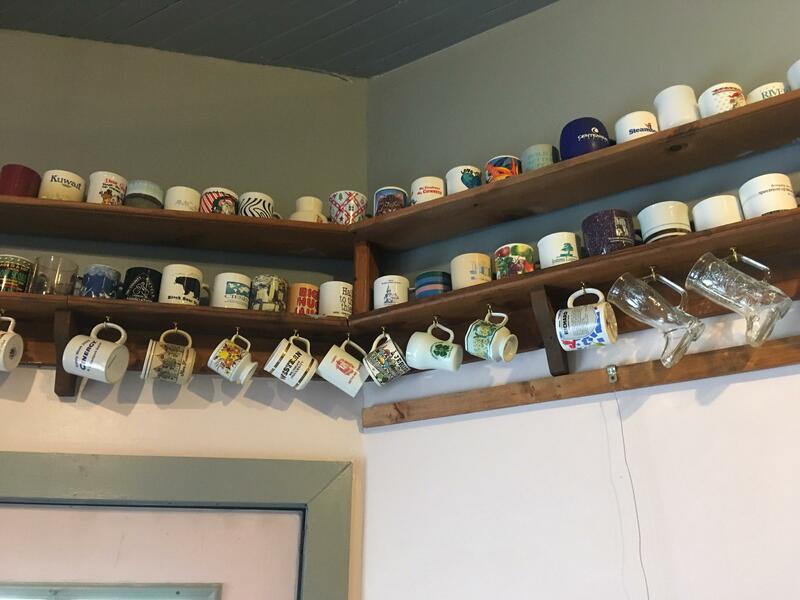 Owner Mike Chappell has more than 700 coffee mugs on display. 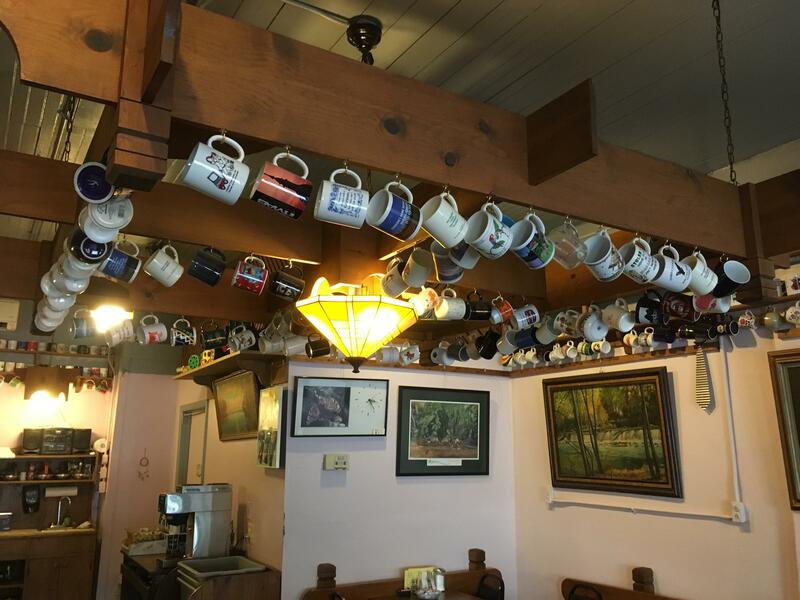 See video of the coffee mug collection at Mike's Village Restaurant on our Facebook page.